As government regulators prepare to rule on two giant telecom mergers, let's take a look at a handful of big deals they have rejected that should worry Comcast and AT&T. NEW YORK (TheStreet) -- Merger deals that go before the Department of Justice's anti-trust division, the Federal Trade Commission and when applicable, the Federal Communications Commission, are almost always confirmed. That's because companies are reluctant to put forth a transaction the government might reject. There's just too much time and money involved in executing a merger or acquisition to go through a lengthy and costly approval process only to see it fail. But some deals are rejected as regulators determine that the combined company would deter competition thereby harming consumers or an entire market of buyers and sellers. Here are five transactions that should serve as a warning sign to Comcast (CMCSA - Get Report) and AT&T (T - Get Report) as they lobby, cajole and pressure government regulators to approve their acquisitions of Time Warner Cable (TWC and DirecTV (DTV - Get Report), respectively. Government regulators, the spotlight is on you. The 13-month dance ended when U.S. and state anti-trust enforcers sued to stop the deal, asserting that it would eliminate a pay-TV competitor in nearly all regions of the country, thereby making it more likely that subscription fees would rise and programming choices would be curtailed. Twelve years later, DirecTV is trying to merge it operations with AT&T, and Dish is anxiously looking for a broadband partner. Back in 2002, telecommunications and media distribution looked very different. Not only was there a Republican in the White House, but widespread use of online streaming was just a vision of a handful of clairvoyant technologists. 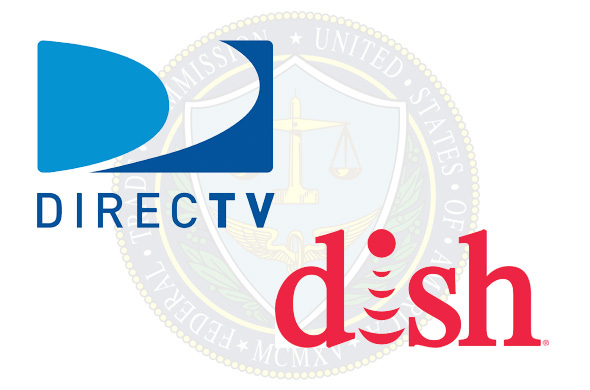 In retrospect, the fact that Republican regulators vetoed a DirecTV-Dish merger speaks to the outsized presence that satellite-TV operators had in those days before broadband connectivity became the real growth engine of telecom operators. As for the deal, EchoStar Chairman and controlling shareholder Charlie Ergen was forced to pay Hughes a $600 million break-up fee, though Dish gained more subscribers than DirecTV during the process, and helped to raise the smaller rival's national profile. To cure its case of Verizon (VZ envy, AT&T in March 2011 succeeded in convincing Germany's Deutsche Telekom (DTEGY to sell its U.S. unit T-Mobile USA Inc. in a stock and cash transaction valued at $39 billion. AT&T was and remains in a pitched battle with Verizon for growth in the lucrative mobile communications market. But U.S. regulators in the Obama Administration ruled that the deal was against the public interest, arguing that by eliminating a competitor in the mobile phone market, subscriptions fees were likely to rise, and the existing players -- AT&T, Verizon and Sprint (S -- would have less incentive to improve services. 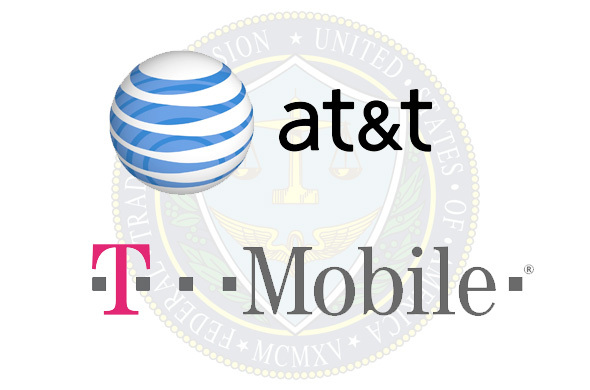 When the Department of Justice made clear that it would seek to block the deal, AT&T and Deutsche Telekom determined that the costs of fighting the government would be too great. AT&T, of course, was forced to pay Deutsche Telekom a whopping $3 billion break-up fee, money that its would-be merger partner then used to expand its U.S. operations. By rejecting this deal, the FCC and DOJ created a recent precedent that could be used to oppose either of the two huge telecom deals currently on their docket. It's important to note that regulators have demonstrated an unwillingness to allow mergers among mobile-telephony providers that could retard competition and lead to higher prices for consumers and businesses. Of course, Comcast and Time Warner Cable will argue that they're cable-TV networks don't overlap and therefore don't directly compete. Meanwhile, Sprint's owners at Softbank might argue that by merging with T-Mobile, they would create a strong No. 3 alternative to Verizon and AT&T. But that deal has yet to materialize. In April 2000, UAL (UAL, at that time the parent of United Airlines, and its smaller rival USAirways announced plans to merge in a deal valued at $4.3 billion. The rationale for the merger was that without consolidation, the U.S.'s 2nd-largest and 7th-largest carriers would struggle to be profitable. It was an argument all of the country's air carriers were making to one degree or another. 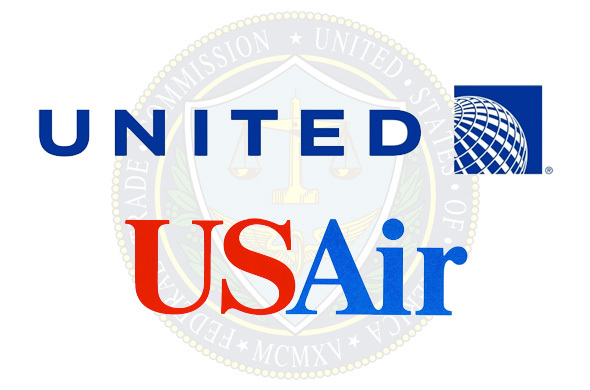 When the Department of Justice said in in July 2001 that it would sue to block the deal, the two airlines withdrew their proposal. Looking back, it seems clear that the merger was a case of bad timing. In the years since, the airline industry has consolidated at a dizzying pace. today, the top four airlines control 85% of U.S. air travel, and prices have never been higher. So much for competition holding down airfares. Back in 2000, the industry's difficulties weren't as pronounced as they would become following the Sept. 11 attacks and the Internet bust. The DoJ led by Attorney General John Ashcroft (remember that name!) and states attorneys general from New England and mid-Atlantic, where the two airlines dominated, opposed the merger on grounds it would raise prices and narrow travel choices and times. The deal became messy when United sought to dissolve the merger, a transaction that would have involved concessions to the former AMR Group, owner of American Airlines, and help create DC Air, an African-American owned airline that would have been controlled by Black Entertainment Television founder Robert Johnson. DC Air would have taken over some of US Airways' routes from Washington's National Airport, thereby reducing the dominance of a United-USAir combination in the lucrative DC market. Where are all those budget airlines from yesteryear? We couldn't help but throw this one into the mix. 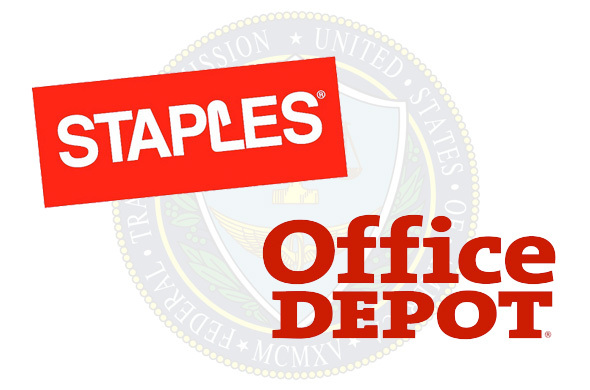 Yes, Massachusetts-based Staples (SPLS is fast closing stores and Delray Beach, Florida-based Office Depot (ODP - Get Report) is desperately trying to forge a new path following its acquisition of OfficeMax, but back in the late-1990s, Staples and Office Depot were dominant. The two office supply chain stores sought to merge in 1997 in a $4 billion transaction that would have created a company with 1,200 stores, and $10 billion in revenue, a considerable size 17 years ago. It also would have made for a formidable competitor to OfficeMax Inc. 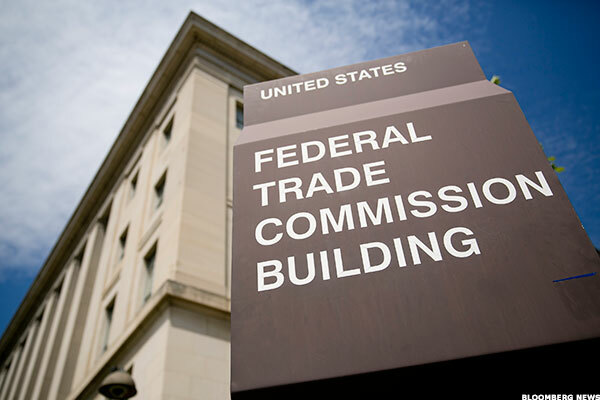 But the Federal Trade Commission filed suit to stop the deal, arguing that consumers would not be well served by allowing the two largest office-supply stories to merge. The FTC during President Bill Clinton's administration, charged that office-supply stores occupied a narrow market that would go unchecked were the two companies allowed to merge. Staples and Office Depot countered the FTC, insisting that they competed with mass discounters, warehouse clubs and "mail-order" operators, a pre-Internet term that sounds almost warmly nostalgic. Hard to argue that Staples and Office Depot weren't right: these days Wal-Mart (WMT - Get Report) and Amazon (AMZN - Get Report) all but dominate the office-supply market. 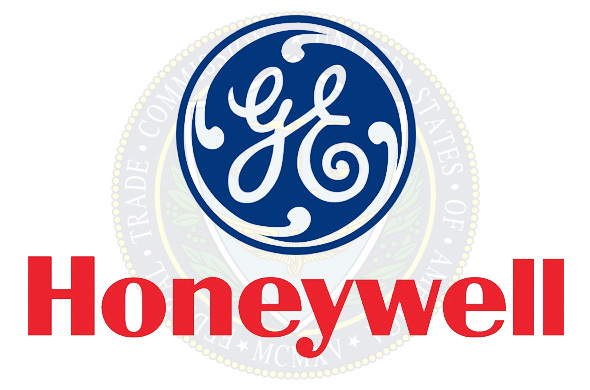 Just months before Al Qaeda militants attacked the United States, General Electric (GE - Get Report) was trying in vain to convince European regulators to approve its $42 billion acquisition of fellow industrial products producer, Honeywell (HON - Get Report) International. Massachusetts-native, GE CEO Jack Welch, had pushed back his retirement by a year in an effort to ensure that his baby, General Electric, would succeed in acquiring Honeywell, a deal that would have cemented the company as the largest industrial conglomerate in the world, which at the time, it was. For GE, a lot was riding on an acquisition of Honeywell. Just months earlier, Welch had convinced Honeywell's shareholders to turn their collective back on an earlier offer from United Technologies, increasing the pressure on the Honeywell executives who would eventually lose their jobs when the deal was killed. Welch swooped-in to trump United Technologies and then succeeded to convince a U.S. Department of Justice, recently turned over to Republican-leaning bureaucrats under President George Bush, to give GE-Honeywell its blessing. For Welch, who never hid his own political leanings, the Bush Administration's support must have felt like a well-laid plan. But the European Commission saw things differently. EU Competition commissioner Mario Monti recommended that the commission reject GE-Honeywell, arguing that the merger would suppress competition in the aerospace industry, generating higher prices for customers seeking air travel. The 20-member EC concurred, and GE-Honeywell was dead in the water, the cold Atlantic waters. Of course, consolidation among airline carriers has produced some the highest prices ever for consumers, but that's fodder for another day. Ultimately, the defeat of the GE-Honeywell deal marked the first time that a merger between two U.S.-based companies was blocked because of a ruling by a foreign governmental body. For the often volcanic Welch, seeing his potentially career-capping deal with Honeywell thwarted because of a European 's view of free enterprise, must have prompted an explosion of expletives. We only wish we could have been there to record that moment.